The USA Basketball Women’s World Cup Team (2-0) defeated China (1-1) 100-88 at Quico Cabrera Arena in Santa Cruz de Tenerife, Canary Islands. The USA not only qualified for the FIBA World Cup quarterfinals, it extended its winning streak at the World Cup to 18 games. The 12-point margin was the closest between the teams in 35 years. In its first Group D game against Senegal, the USA started slowly and at one point trailed 10-2. While China did score the first basket, it enjoyed only 16 seconds with the lead. Tina Charles (New York Liberty) scored 10 of her 16 points in the first quarter to ensure a quick start for the USA and a lead that it would never relinquish. The USA held the lead for 38:41. 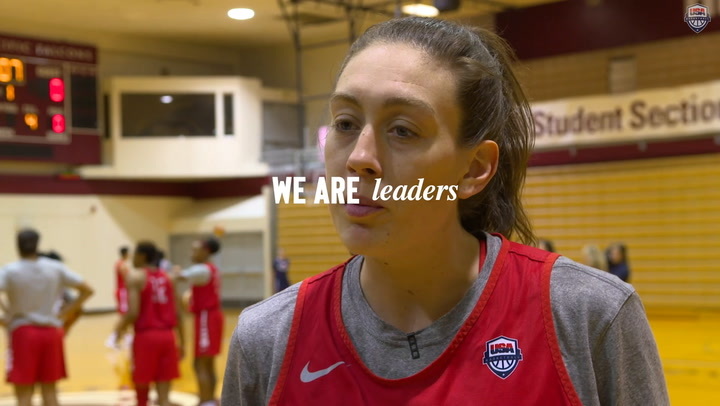 While Charles provided the spark in the first quarter, it was Breanna Stewart (Seattle Storm) who got the USA rolling in the second half. After scoring only two points in the first half, she raced out of the intermission to record 17 of the team’s 29 third quarter points. Even with Stewart’s contribution, China refused to fade. Sun Mengran scored eight of her 16 points in the fourth quarter to keep China in the game, which Staley attributed to her team’s defensive play. The game was a battle of promising young post players. A’ja Wilson (Las Vegas Aces), a 6-foot 5 forward and the WNBA Rookie of the Year, led the way. She came off the bench to finish with 20 points in 23:21 of playing time. Wilson’s six rebounds tied for team high. 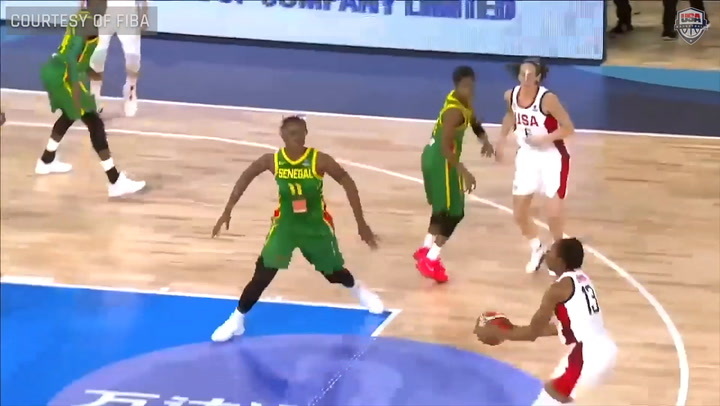 Her three blocks and three steals led the USA. China was the beneficiary of a spirited effort from 6-foot-9 center Han Xu, who led her team in scoring with 20 points while collecting five rebounds and rejecting two shots. The 18-year-old Han matched up with 22-year-old Wilson often in the post in what could be an entertaining matchup for years to come. Wilson is open to the idea. In the final seconds, as Han left the court to extended applause from the crowd of 1,979, she placed her hands together, smiled, and bowed toward each side of the court. As the teams passed each other in the handshake line, Brittney Griner (Phoenix Mercury), who did not play because of an ankle injury, nodded her approval when she greeted Han. Griner is listed at day-to-day. 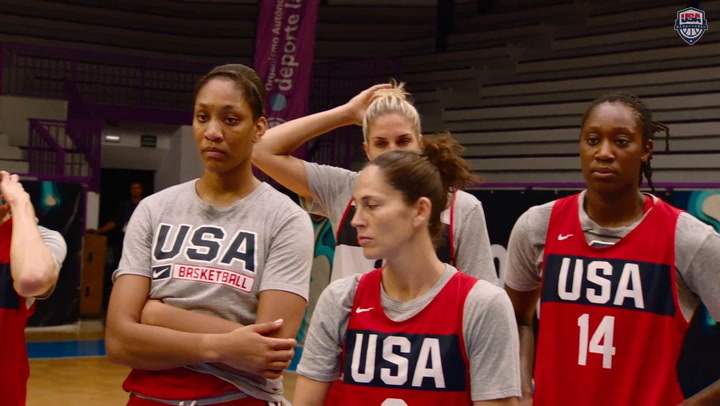 With Monday off, the USA will finish up Group D play Tuesday against Latvia (0-2), at 1 p.m. EDT. Ryan Gregory is a contributor to USAB.com as part of the Sports Capital Journalism Program at IUPUI.